In designing a product or service, it is very rare to be in a position to put a finished design directly down on paper. A design evolves, rather than pops-out fully formed. There are lots of things we do not know, even if we think we do! Prototyping is a broad range of techniques for taking a design concept and evolving it into an early form of the final product or service. Prototyping allows us to explore and discover at an early stage in the design process, at low cost. There may be one, or many prototypes, before anything approaching a full version of the product or service is built. A prototype may be built to explore just one particular aspect of the design, or many aspects. Prototypes are typically thrown away once they have served their purpose, although they may be used as the basis of a subsequent prototype or final design. Although standard practice in traditional fields such as product design and engineering (see insert), prototyping has only recently begun to be applied to services, where the prevailing approach has been to specify and build. As a young apprentice electronic engineer working for Decca Radar, back in the late 70s, I worked on the design of the first daylight viewing colour radar display. Designed initially for small boats, the technology eventually found its way into all types of radar. The first technical prototype we built, used wire-wrap to construct the electronics and just did the first 90 degrees of the full 360 degree scan. This was sufficient to prove key aspects of the design quickly and at low cost. 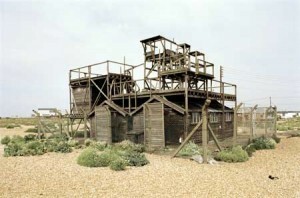 We later built a full prototype and ran trials at our research station at Dungeness in Kent – two huts on the beach originally built by Marconi in the 1890s, from where he first transmitted radio messages across the English Channel in 1899. The trials used a radar reflector suspended from a weather balloon, as a simulated target – it was my job to walk up and down the beach with the weather balloon. Beat sitting in the office! The reasons why prototyping has not been widely used in service design and IT system development are many. Historically, where services and/or IT systems have been procured, this has been against a fully developed specification, to enable fixed price bidding. Armed with a specification, the tendency has been to just get on and build it – after all, we already know what we want (!) Prototyping has been seen as unnecessary, time consuming and costly. Finally, managers have traditionally felt more comfortable with a simple, straight-line approach to development – from design, build through to deployment. But, with the advent of incremental and iterative development methods, both project management and development approaches have begun to better reflect the true nature of the design process and the use of prototyping has begun to increase. There are various approaches to prototyping and some of these are outlined in the articles below. But don’t feel constrained. The boundaries of service prototyping are only limited by our imagination. It’s fair to say that prototyping services can be somewhat harder than prototyping products. Some services are easier than others. Digital services are fairly straightforward and there are lots of tools available. Non-transactional services are harder. A distinction also needs to be made between prototype and deployment pilots and trials. The latter are associated with a limited/controlled deployment of part or all of the service, in its fully intended form, as part of final testing and/or service transition. Whereas, prototype pilots or trials occur much earlier in the design process.